Can’t get enough of Josh Levi? (Yeah, we can’t either.) In our winter issue, the 18-year-old X Factor USA finalist and member of Citizen Four, the newest boy band on the scene, sat down with L’Oreal Thompson Payton of #TeamSesi, and shared his passion for social justice and his dreams for the future. Get your copy now. And here, Josh spills more about his music career — and who he’s crushing on. Sesi: When did you first discover your love of performing? Josh: I discovered my love of performing at about 5 years old. I wrote my first song in kindergarten. It was our graduation song. It went something like this: “On the 25th of May, our graduation day.” I realized at that moment I enjoyed giving my voice and passion to people who respected it. And it went from there. By about 10 years old, I had been exposed to every kind of music. My family only listened to gospel music, so the first artist I found on my own was Michael Jackson — then Beyoncé and Jazmine Sullivan. I listened to all of these amazing artists and learned what I could and what it takes to be on their level. I learned from them and moved on to auditions for X Factor, which was an amazing, amazing experience. It was probably the scariest thing I’ve done in my life, but performing in front of millions of people every week made me fearless in everything I do. It’s a blessing I could never forget. Sesi: You mentioned Michael Jackson and Beyoncé as some of your musical influences. How did they influence your personal style? Josh: I appreciate them more for their effect on people, the conviction in all their voices, and how they were so innovative and distinctive from other artists. I want to be something not just normal, average, or mediocre. I want to be just as pioneering as they [are]. I took that approach to everything I do musically, artistically. I want to do things differently. To be revolutionizing is my number one aspiration. I want to build a platform for things that really mean something like Beyoncé does with social justice in [her] messaging. Sesi: What are some messages that are important to you? Josh: It’s important that each type of person equally has a voice and representation. Diversity is very special to me. And also, just equality in terms of being human. I know a lot of senseless violence has taken place over and over, and that’s something that’s very important to me and I feel strongly about it. Sesi: Citizen Four is kinda like a 2016 male version of the Spice Girls. What is that like? Josh: One of the reasons my band is amazing and really special and also a challenge is because we’re all really so different. Culturally, artistically, we’re really diverse in our personal interests and musical interests. It’s our big melting pot of different artistic opinions that makes us different. We looked for that intentionally. We wanted to be part of something that was going to change the game, that wasn’t expected and challenged stereotypes. Sesi: Your cover of Rihanna’s “Needed Me” was pretty good! Who are some people you’d want to collaborate with? Josh: Rihanna is definitely someone we would collaborate with. People like Zayn [Malik, formerly of One Direction] and The Weeknd would be really cool collaborations. It could be cool to collaborate with a fellow band, like Fifth Harmony. All the people we talked about are all people we respect and would be great collaborations musically. Personally, my dream people would be Beyoncé. I really respect Frank Ocean, Miguel, Kanye West, and Rihanna. Sesi: So I take it RiRi and Beyoncé are two of your celebrity crushes. Are there any other ones you’d like to share? Josh: Obviously, I really respect the extremely beautiful Zendaya. She’s a great role model. I also respect and love Alesia Carra. Friends of mine, Chloe and Halle, are really changing the game and doing amazing things with their music, and they’re part of Beyoncé’s camp. I love Beyoncé. I stopped saying her as [my] celebrity crush though because she’s married and has a kid. Sesi: Yeah, you don’t want Jay Z coming after you. Josh: No, not at all. Also, Serena Williams, she’s killing it — and Amandla Stenberg. Sesi: All excellent crushes. You probably don’t have time to date, but inquiring minds would like to know — are you seeing anyone right now? Josh: At the moment, I’m single as a Pringle. Sesi: So what do you look for in a girlfriend? Josh: I love women that know exactly what they want to do and how they want to change the world … women who are bomb and unapologetically themselves. They’re different and don’t want to conform to what other people want them to be. Women that are strong and want to change the world like I do, so we can be a power couple like Beyoncé and Jay Z. #RelationshipGoals for sure. 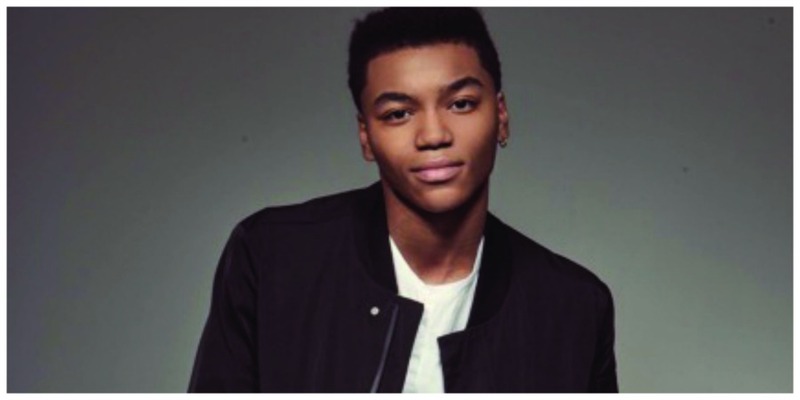 Keep up with Josh on Twitter and IG @JoshLeviWorld — and for even more about him, peep the Bae Watch column in our winter 2016 issue!